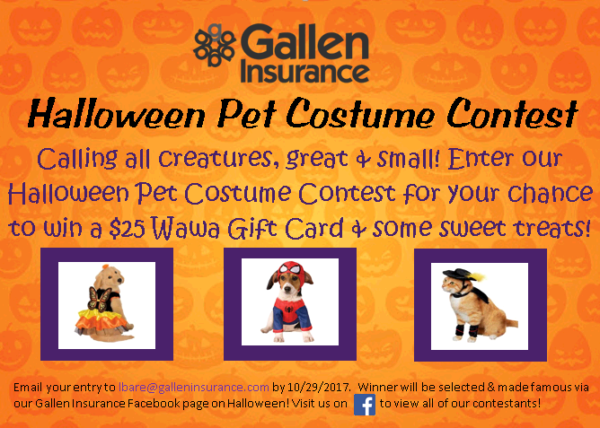 Halloween Pet Photo Contest – Final Day for Submissions! Today is the final day for submissions for our 2017 Pet Halloween Photo contest!! Please submit your photo to lbare@galleninsurance.com to be entered into the contest! !